Best news! Regina Spektor is pregnant with her first child! To mark this momentous occasion, we’re counting down some of her best tunes. Hip-hip hooray! Despite being nominated for her very first Grammy, Regina Spektor will not be attending the musical festivities on Sunday due to being very much pregnant. We suppose that’s a decent excuse. The incredibly low-key singer and her husband, Jack Dishel, are expecting their first child together. Spektor obviously could not contain the exciting news any longer and took to her Facebook page to share with her fans. This track always puts us in a good mood, no matter what. It’s fun and whimsical. Obviously it’s inspired by the Biblical figure of Samson. Spektor puts her unique twist to this song, and we absolutely love it. We love the lyrics! Spektor manages to combine a serious subject with her whimsy and turn this song into a masterpiece. Probably the best track off her latest record, “Call Them Brothers” even features vocals from her husband, Dishel. This song packs so much power. The piano, the vocals and a sung stanza of a Russian poem make this song unforgettable. Very beautifully written. Another fun song by Regina, it just makes you feel all bubbly inside. This one also cheers us up on a rainy or snowy day. 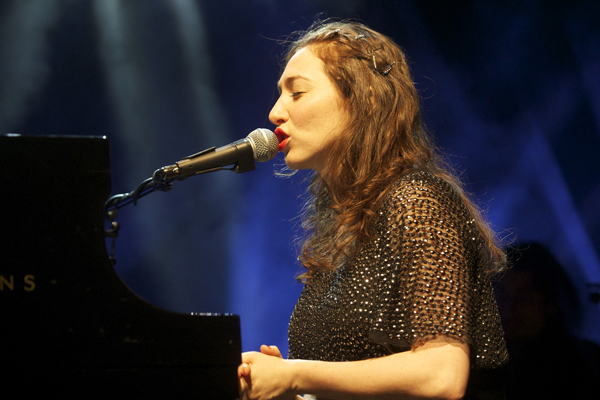 Which Regina Spektor song is your personal favourite? Video: Benedict Cumberbatch accepts award sans pants!